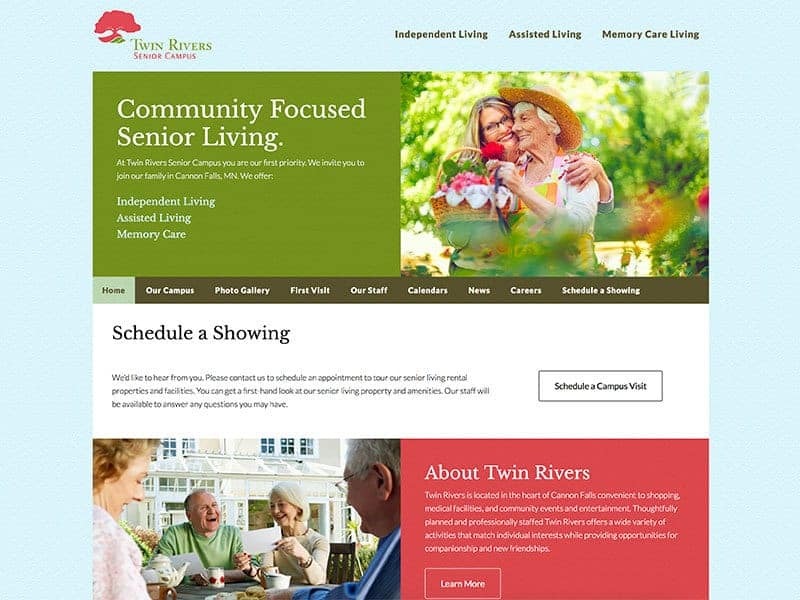 Located in the heart of Cannon Falls, MN Twin Rivers Senior Campus offers independent, assisted, and memory care living accommodations. Thoughtfully planned and professionally staffed Twin Rivers offers a wide variety of activities that match individual interests while providing opportunities for companionship and new friendships. Overviews of all living accommodations, a photo gallery, news, and upcoming events are just a few of the things you can find on this custom site.